Article originally appeared in the Indian Express. 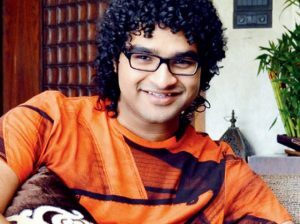 Siddharth Mahadevan feels Indian music is on a roll internationally. The son of popular musician Shankar Mahadevan is amazed with the popularity of Indian music around the world. Indian actors are increasingly gaining an international status and even music is becoming more accessible. This is why Siddharth, who joining his father and brother Shivam to perform a semi-classical concert at Dubai’s Shaikh Rashid Auditorium on Friday, feels there’s a surge in interest around Bollywood music. “I think the popularity of Indian music has gone up drastically, with Bollywood music being streamed the world over. I mean as per my experience, I was recently on a cruise ship in the Bahamas and they were playing Bollywood music on it,” Siddharth told IANS in an email interview from Mumbai. Indian music is not only streaming around the globe with its sounds and rhythms, but is turning out to be a major influence on many international artists. Siddharth created his first composition in 2010 with his cousin Soumil Shringarpure, and made his playback singing debut in 2005 with “Bunty Aur Babli” by rendering for the title track along with other singers. He has been associated with regional cinema by composing for Marathi films with his cousin. He made it big in 2013 with rock version of the title track “Zinda” in “Bhaag Milkha Bhaag”, and went on to garner plaudits for his work via “Malang” for “Dhoom 3”. He also crooned a number “Teen Gawah” for “Mirzya” as well. Asked about the demand of Indian classical music on foreign shores, he said that “internationally, shows with classic music appeal to western audiences”. “I think that all genres of music have a certain audience. Internationally, shows with classic music appeal to western audiences. Indian music has so much depth and whenever my dad has collaborated with western musicians it has been appreciated really well, with audiences giving a standing ovation that lasts for 10 or more minutes,” he said. Siddharth feels “classical music is extremely popular around the world and the kind of participation and reaction is unbelievable”.